If you open this link you will be able to look at my mindmap in details and zoom in and out. 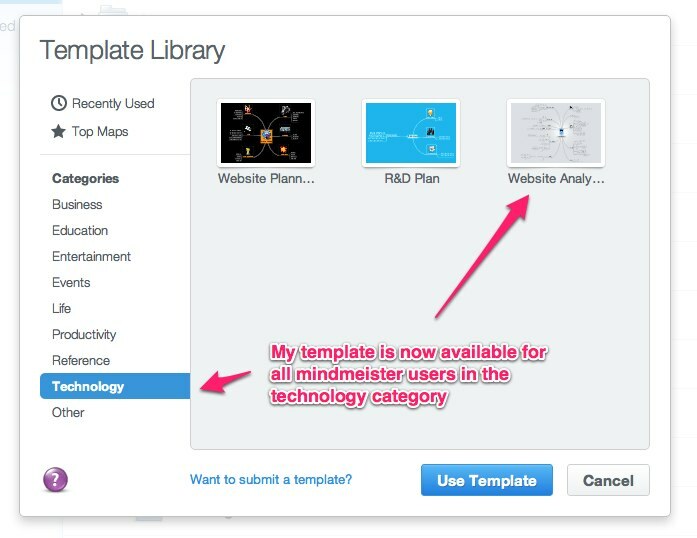 This is a totally online tool, accounts with www.mindmeister.com are $5/month for 1 user which allows you to have unlimited mindmaps you can access from any computer or ipad (via app). Cropped view (too large to completely fit here of course. Use link above to see the whole thing. Anyone can now use this template, its been added to the template library! I submitted this minmap to Mindmeister as a template and they have now included it for all to use which is great. To use it after logging in to your account create a new mindmap and you will be shown the templates available. Go to the technology section and there it will be. Its called Website Analysis. How do you prepare to build websites? Please leave a comment to share with others.